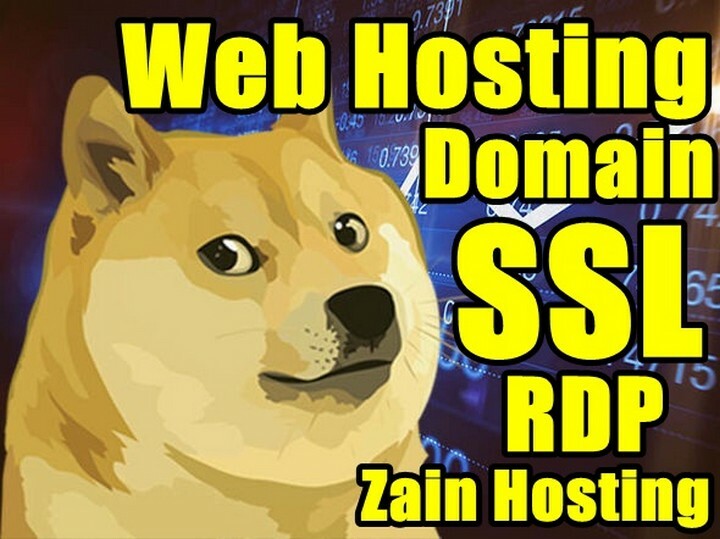 Hello guys, today we are announcing here that we have started accepting Dogecoin for web hosting and domain name payments, you can also buy any services from us like SEO, web hosting, and domains name registrations, SSL certificates, VPS and RDP through doge coin. Doge coin is a famous crypto currency, you can also say it an open source peer to peer digital currency, it is an old digital crypto currency, it was released in 2013 by Billy Markus and Jackson Plamer and it is also a decentralized cryptocurrency like bitcoin (BTC), and it allow you to send the money to everywhere through your internet or mobile wallet. You can convert our web hosting and domain name prices with the doge coin’s current rate and send us; you can convert on coingecko or coinmarketcap etc. Like if you have selected our $5 web hosting package and the Dogecoin’s current price is 0.0065 then you have to send us 763.5113933126721 doge coins in our wallet address, you can ask our wallet address through email, live chat or ticket system etc. So guys as you know we are providing our services in cheap prices, and you can check our packages and plans on our main page of website, like we are providing you 12 months web hosting with 1 GB disk space in just $5 with 10 sub domains, 10 emails accounts, 10 GB data transfer and 10 MySql data bases, and you can also get domain names like .com .org .info .online .xyz .club in cheapest prices, we are offering VPS in just $10 and RDP in just $5 per month. So guys don’t be late and order us now to get your service through dogecoin, you can also take a 24 hours free trail from us, after using and checking you can pay us through crypto currency.